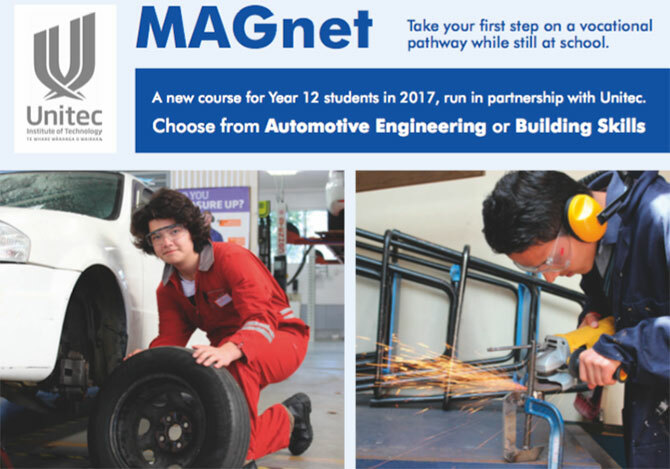 A new course for Year 12 students in 2017, MAGnet, was launched with an information evening in the Maurice Hall Atrium on Tuesday, 23 August. The course is run in partnership with Unitec, and offers students the opportunity to take their first step on a vocational pathway while still at school. Selected students spend one day a week at Unitec, and four days at MAGS undertaking a dedicated course that complements their chosen vocational pathway. All study offers credits toward NCEA Level 2. In 2017 the courses offered are Automotive Engineering and Building Skills. The aim is to add more options, including Level 3 courses, in the future. 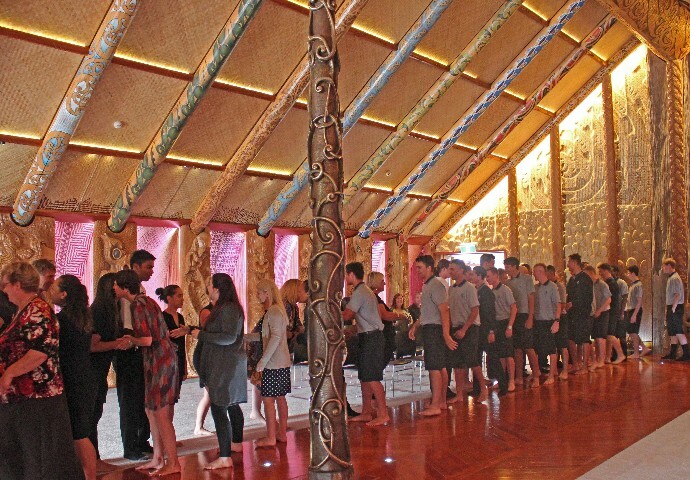 The 26 students who will take up the MAGnet programme in 2017 were welcomed to Unitec with a powhiri at the campus marae on Thursday, 2 February. Among the welcoming party were 12 of the 14 students who were the first to undertake the new course in 2016. 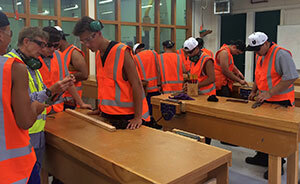 This year the Year 12 students will spend one day a week being trained in Carpentry or Automotive Engineering by Unitec lecturers. 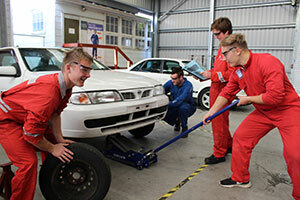 Among the 10 students learning Automotive Engineering is the programme’s first girl student. 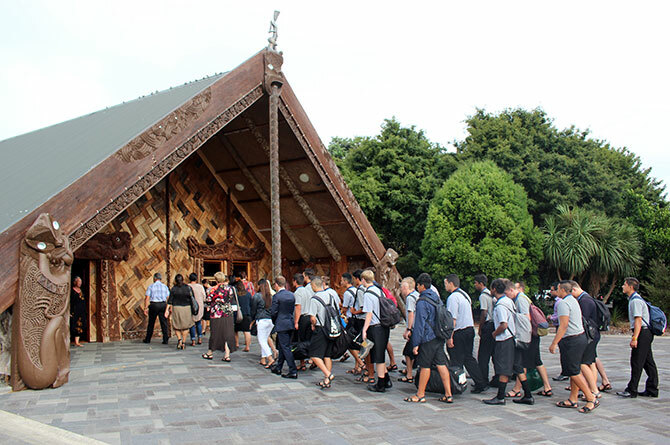 Back at school their learning will be backed by courses in business, physics, English, Maths, and either Building Skills or Mechanical Engineering, all contributing toward NCEA Level 2. The course is called MAGnet (Mount Albert Grammar Next Educational Target), and Deputy Principal Ms Fiona Barker says it will give students a foot in the door of a vocational pathway they wouldn’t usually access until they left school. The MAGnet students are expected to return to MAGS for Year 13 and the opportunity to do a Level 3 course with Unitec, and then, if a vocational pathway appeals, continue with an apprenticeship full time on leaving school. 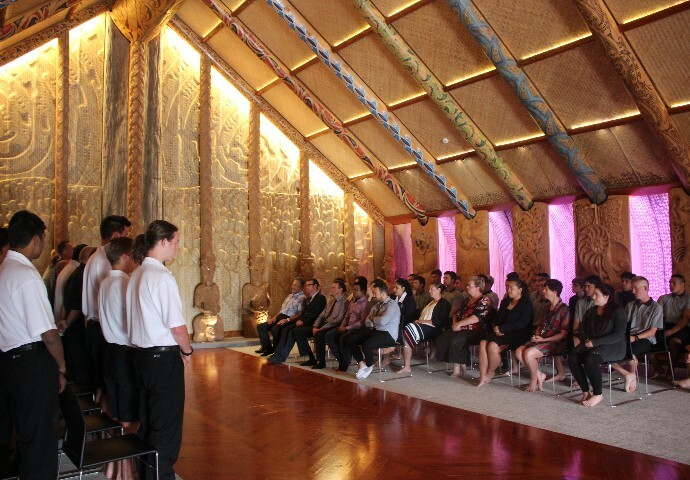 Their experience on the MAGnet course will give them preferential entry to Unitec’s training programmes. 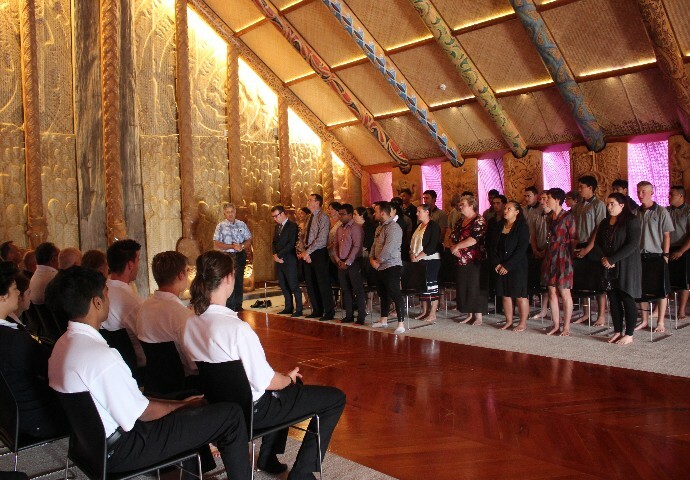 The powhiri was attended by Headmaster Mr Patrick Drumm, Unitec’s Dean of Innovation and Development Mr Nick Sheppard and other MAGS and Unitec representatives. Mr Sheppard commended Mr Drumm, Ms Barker and their team for their leadership in opening up a “brave new world” of partnership between the secondary and tertiary sectors. 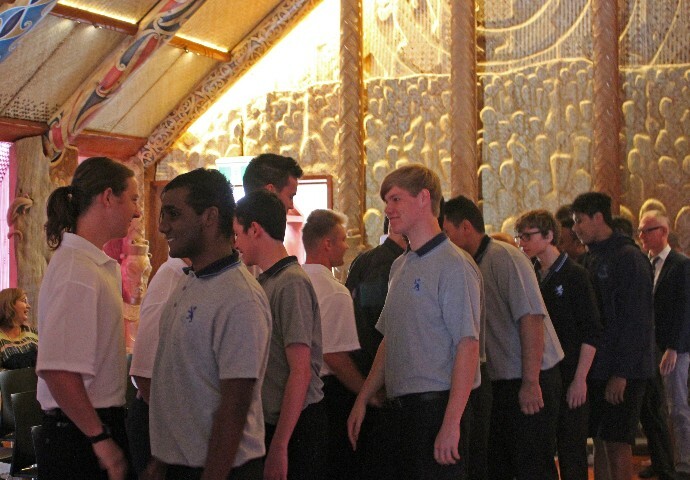 Mr Drumm said the success of the programme could be seen in the Year 13 students who helped welcome the new students onto the marae. Mr Drumm added that the students for whom MAGnet had helped attain NCEA Level 2 last year were among the record pass rate of 95%. 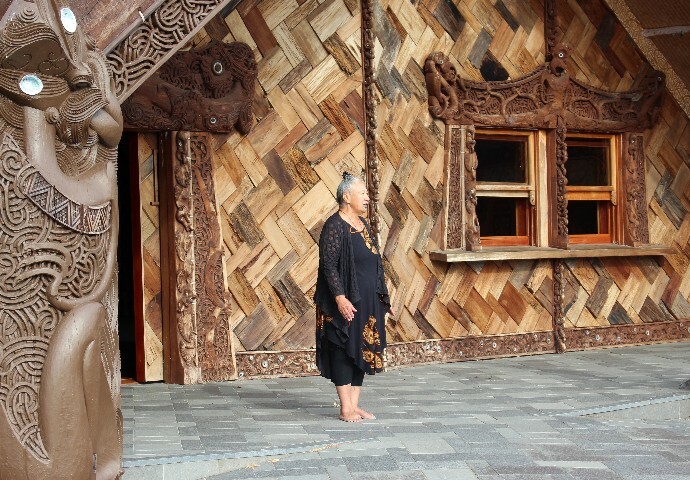 New Zealand has a shortage of apprentices; in the 2016 Budget the Government allocated $14.4 million over four years for more apprenticeship training, aimed at adding another 5500 apprentices across a range of trades by 2020.